Calling all mushroom lovers! 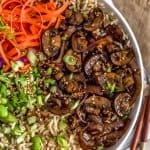 These crazy good sautéed Mongolian Mushrooms and Onions are bursting with amazing flavors that will have you doing a happy dance. 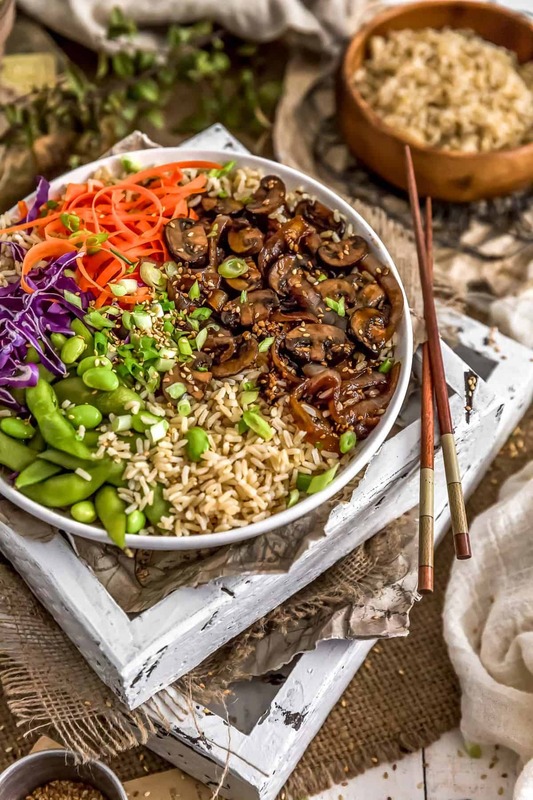 The tasty rich sauce boasts both sweet and tangy deliciousness featuring tangy tamari and rice wine vinegar that’s perfectly paired with sweet maple syrup and molasses for a mushroom marinade paradise. 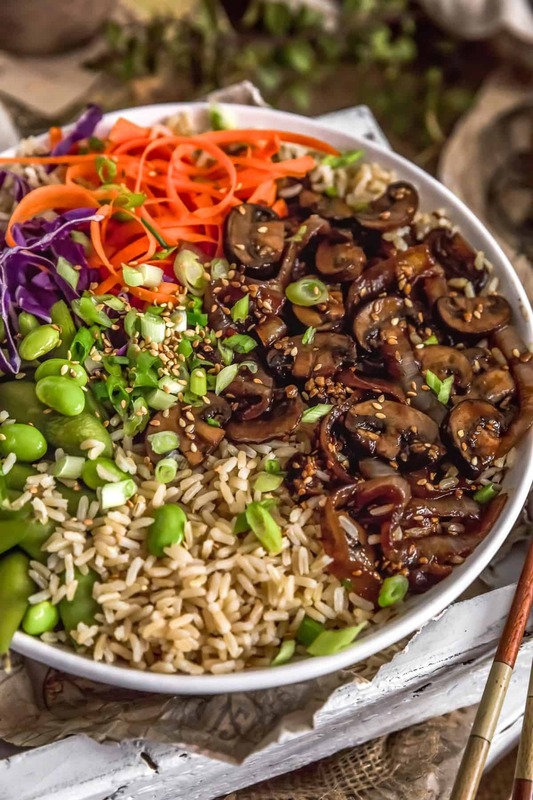 Pair these tasty mushroom and onions with rice or quinoa and you favorite veggies for a fantastic veggie bowl that will treat your taste buds, making it this week’s awesome Whip It Up Wednesday recipe. This week’s Whip It Up Wednesday is our delicious Mongolian Mushrooms and Onions. In just 20 minutes you can prepare this delicious dish to put in your favorite veggie bowl. Tangy, sweet, and full of garlic and ginger flavor, it’s sure to please the entire family. 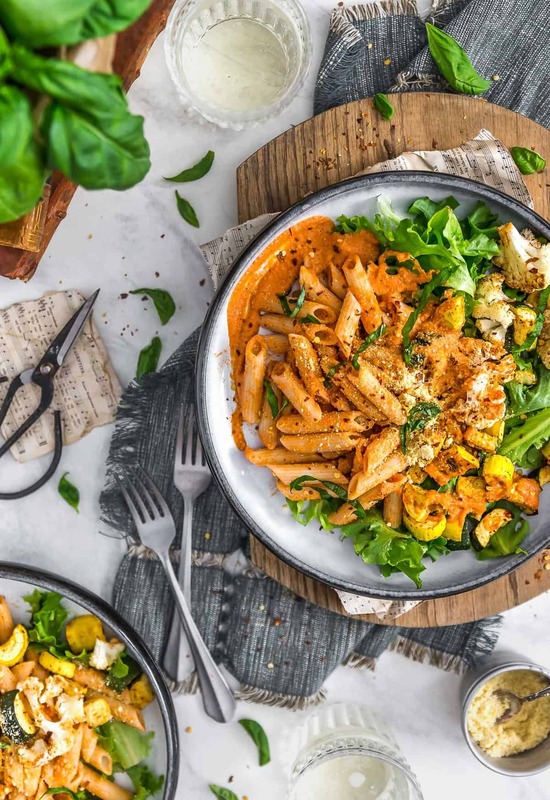 We love pairing this quick and easy dish in a veggie bowl. 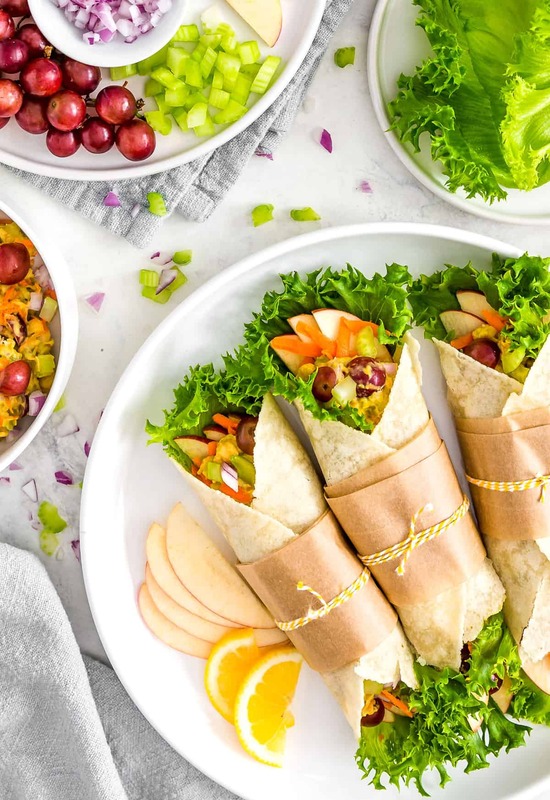 It really makes for a fast and healthy lunch or dinner. 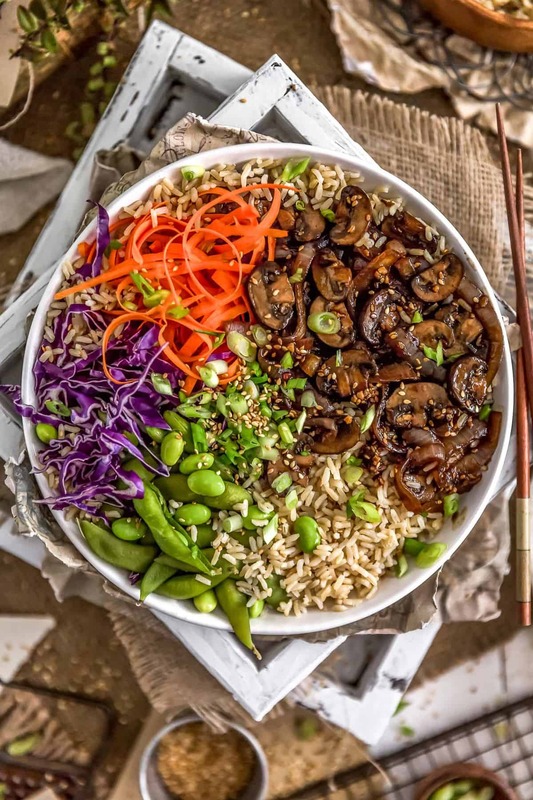 Add some steamed rice or quinoa with some of your favorite veggies, and you have a delightful bowl of yumminess! 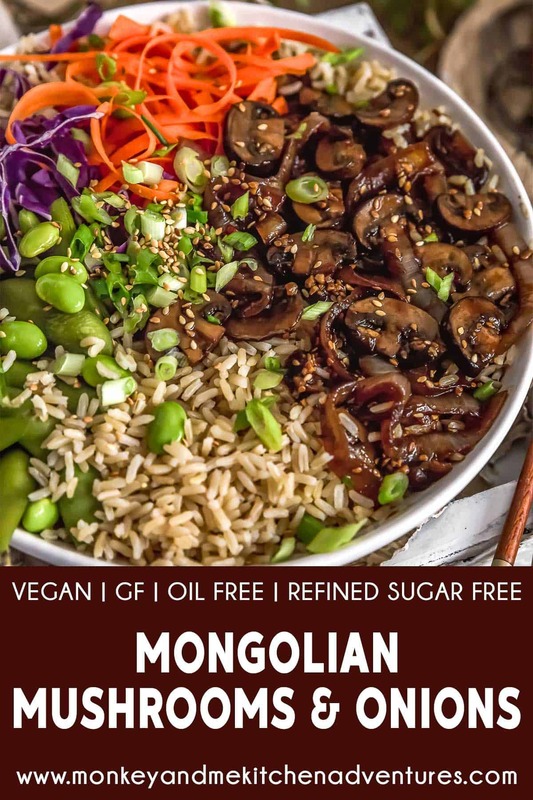 This healthy, vegan, oil-free Mongolian Mushrooms and Onions dish hits all the high notes for deliciousness; sweet, tangy, garlicky and bursting with flavor, everything you could ever want in a fabulous WFPB dish. 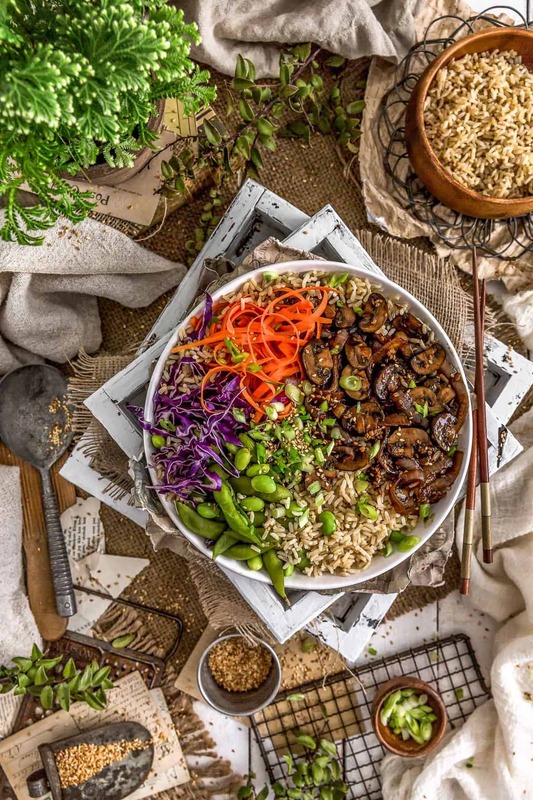 Give it a try in your veggie bowl. It is crazy awesome! If you need to toast the sesame seeds, do so now and set them aside. Otherwise skip this step. Place all the sauce ingredients into a bowl and whisk well to combine, set aside. Prep the mushrooms and onions, set aside. 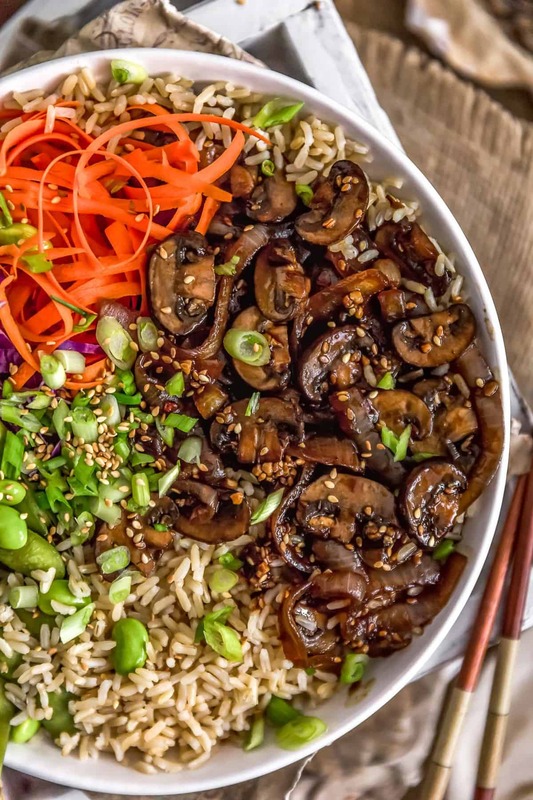 In a large ceramic/enamel-lined/non-stick skillet, add the sliced mushrooms and 1 Tablespoon tamari, sauté for 4 to 5 minutes to release some of the liquid from the mushrooms, then transfer the sautéed mushrooms to a plate, set aside. Immediately add the sliced onions to the skillet, you do not need to remove any remaining liquid from the sautéed mushrooms. Sauté the onions over medium heat until they soften and turn golden, approximately 8 to 10 minutes. Add a tablespoon or so of water if they start to stick and/or to prevent burning. Add the Mongolian sauce mixture to the skillet with the onions. Add the sautéed mushrooms, turn the heat up, and stir until the sauce thickens and all the onions and mushrooms are thoroughly coated with the sauce. Cook for several minutes. Serve immediately over your favorite rice, veggies, or as a delicious side dish. 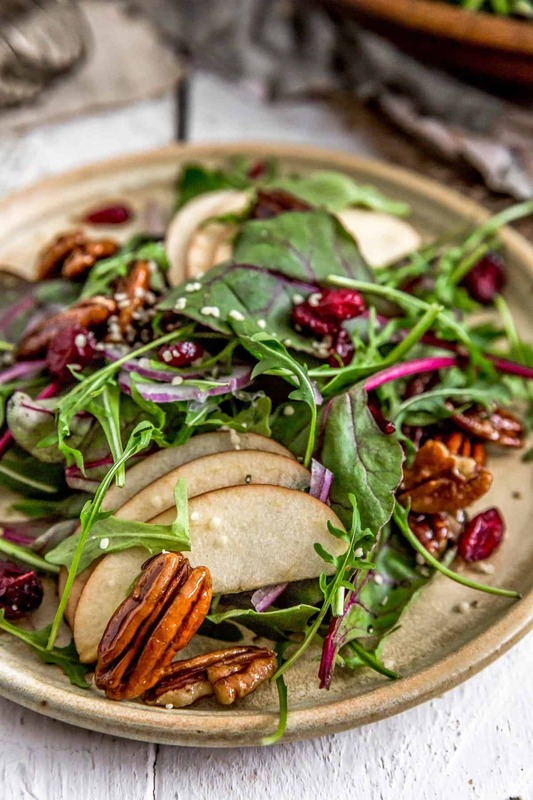 *Sweet Onions: It is important to use a sweet onion such as a Vidalia or Walla Walla as these onions lack the sharp, astringent taste of other onions and taste really sweet. Yaaay! Thank you so much for your kind words; we truly appreciate it! 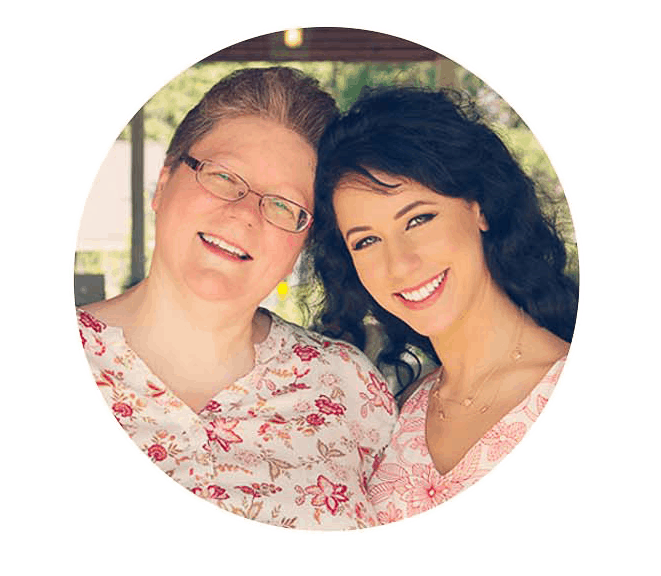 Hope you enjoy this recipe as much as we do!